There is persistent chatter about a Greek default over the weekend, which Greece denied, but the denier refused to be named. If it’s not true, then put your damned name on the statement or be considered what you are – liars. Greece failed to place their short-term bill rollover. That’s a declaration by the market that even for short-term paper the market has utterly lost confidence in Greece and the Euro. Germany’s DAX market relative to the United States just hit a five year low today. We are doing the same thing right here in the United States with Obama’s demands for “more stimulus” with no way to pay for it, games being run by banks suppressing price discovery and hiding losses on mortgages engendered by nine trillion in residential property value loss, the asset-stripping that was performed on the citizens of Jefferson County Alabama and more. Not one damn thing has been done to fix the underlying problems and nobody has gone to jail for these acts. You cannot solve a debt crisis with more debt any more than you can fix a drunk with a case of whiskey. Yet that is exactly what we’ve tried to do both in the United States and internationally. The end point of that process here is exactly the same as it is there. You’re getting a preview America, and if you think that a 20% sell-off in the stock market is what we get when it happens here, you’re wrong. Try a 90% loss on for size followed by the utter failure of every pension fund and insurance company that has sold annuities – including yours. EVERY ONE OF THE POLITICIANS ON BOTH SIDES OF THE AISLE – ALL OF THEM WITHOUT EXCEPTION – HAVE LIED, CHEATED AND STOLE FROM YOU TO PROTECT A GANG THAT HAS REPEATEDLY ABUSED LEVERAGE TO ROB YOU BLIND. 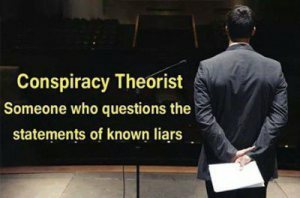 NOW THE PONZI SCHEME IS COLLAPSING AS WE ARE OUT OF SUCKERS – GLOBALLY – WITH WHICH TO PERPETUATE IT. European markets plunged Monday amid continuing concerns that Greece might default on its loans and Moody’s Investors Service might downgrade a number of French banks. Of course the little “nuclear accident” that the MSM is screaming about this morning in Southern France ought to distract from the fact that while NATO is still knocking off people who work for the Taliban over in the “bad” Muslim countries, they are happily applying their blessing to Qatar’s new Taliban Headquarters. Today it was reported that Barack Obama gave the Taliban his blessing to open their first political offices in Qatar. The Gulf state is believed to have agreed to let the group have a base after Washington decided that it should be located away from the influence of Pakistan. The good news? This is planned before Christmas! Oh wonderful – I am most sure that the Muslim Taliban cannot wait to open what is under their Christmas Tree wrapped in a big blood-red bow painted by the loss of NATO and United States Soldiers over the last decade. Wonder what “The One” will put in their Stockings? Don’t spoil the surprise, maybe more heat seeking missiles? I have an idea. Let’s set up a Headquarters for the entire Planetary Political Party in a place that can be “away from the influence” of the insane New World Order that is being perpetuated. We’ll just sent them all up on the supply rockets that are headed on up to the International Space Station. Oh. That wouldn’t work out so well now would it with the only access to the ISS blowing up twice recently. I was inspired this morning by this image. 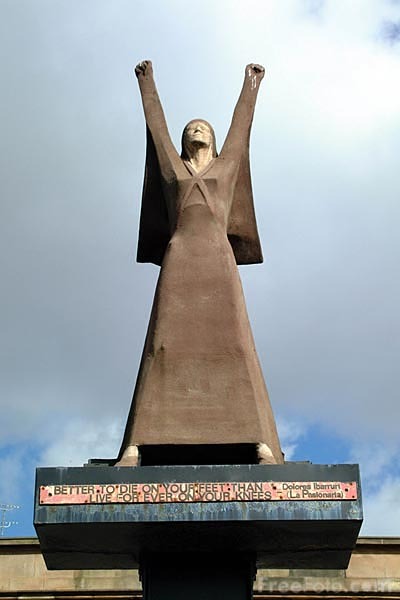 As long as Socialism is being slowly implemented in this Nation through the current Presidential Actions, my point of inspiration comes from the story of Dolores Ibarruri and the Communist Party Uprising in Spain. Now where did we put those unused Space Shuttles? I hear they can hold at least 535 well packed Politicians in the Cargo Hold.